We've already documented the predictable battle between Apple and Google over the bar on getting a Google Voice application onto the iPhone, so it's with no small sense of interest that we discover Google accused of hypocrisy on its own Android platform. According to a USA Today story, Google tried to block Skype - like Google Voice, a way to avoid expensive carrier fees for phone calls - from its Android Market earlier this year. 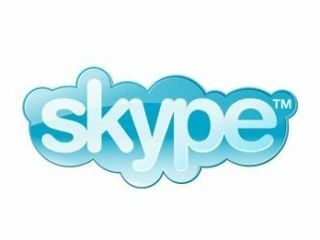 Instead of the full Skype application, owners of Android phones instead got Skype Lite, which sends calls not over Skype's potentially free VoIP network, but across the regular phone network at a cost. The trickiness lies in how that came about - USA Today suggests it's due to some underhanded deal between Google and US Android carrier, T-Mobile. If it were true, it might make it look at least a little foolish in its tussle with Apple over Google Voice on the iPhone. "Here are the facts, clear and simple: While the first generation of our Android software did not support full-featured VoIP applications due to technology limitations, we have worked through those limitations in subsequent versions of Android, and developers are now able to build and upload VoIP services." He goes on to brand USA Today as plain "wrong" and to add that, "at this point no software developer - including Skype - has implemented a complete VoIP application for Android." So, in other words Google is all for users installing proper VoIP applications on Android and making free or cheap phone calls, but there's actually no way to do so anyway, so it doesn't really matter. Yet.